This is a wide form of pasta made from eggs and originates from the Tuscan region of Italy. It works best when served with rich meat sauces like a Bolognese. These are one of the most common types of pasta and can be used in a wide variety of dishes. Large shells can be stuffed and baked while smaller shells can be added to a casserole or meat sauce. The smallest shells work best when added to stews and soups for a real winter warmer of a meal. This is similar to spaghetti but hollow. They taste amazing when added to casseroles, stews, broths or stir fries when paired up with juicy, fresh tomatoes. Italian for bellflowers, this unique-shaped pasta is best for soaking up very thick or creamy meat sauces. It can also be used in cheesy dishes. As the name suggests, this is the thinnest of pasta, consisting of long, fine strands which cook quicker than other types of pasta. This delicate noodle teams up best with light sauces and broth or can be cooked in a simple oil and butter mix. 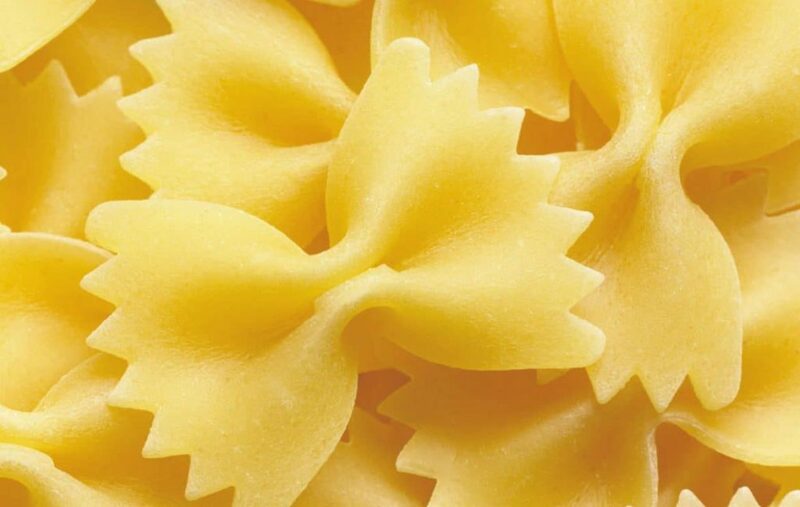 Meaning ‘small ears’ in Italian, this pasta variety is shaped a lot like a pasta bowl. This makes them ideal for catching sauce in a delicious way. The ‘collecting’ pasta goes best with hearty, heavy sauces containing meat and vegetables. This looks a lot like rice and is often found in salads and soups to beef them up a bit. Another commonly found pasta of the UK dinnerplate, this tube-shaped pasta is cut diagonally at each end. It is perfect for adding to sauces, as a bed for cheesy toppings and mixed with cold salads. Ravioli is the ideal all-rounder and can be used for virtually any dish. A square pouch bursting with cheese, tomato sauce or meat. Varieties can also be made containing all manner of veggies or seafood and added to soups, sauces or simply dashed with a touch of extra virgin olive oil.